Brett graduated with honors from Missouri Southern State University in 2010 with a bachelor of science in Nursing. During his last two years of college, Brett substitute taught K-12 in Mount Vernon, MO. Following graduation, Brett worked as an RN on the rehabilitation floor at St. Johns Mercy Hospital in Joplin, MO. There he also served as a supervisor on the implementation of the EPIC computer charting system, and trained nurses on how to transition from paper charts to computer charting. Brett’s extensive knowledge on proper medical charting and the back end of computerized charting systems has been invaluable in constructing accurate and comprehensive client medical histories. When the F5 tornado hit Joplin, Missouri on May 22, 2011, Brett organized and led triage in a Home Depot parking lot. In the picture below, Brett is transporting the first victim to the Home Depot parking lot, where he initiated a mass triage center. As a result of Brett’s actions immediately following the Joplin tornado, he received a Community Leader Award from the Missouri Southern Nursing Honor Society. In August of 2011, Brett began law school at The University of Missouri – Kansas City School of Law. After high scores in his first year of law school, Brett taught a study group aimed at helping other law students better understand and pass their law school exams. While working at the Hollis Law Firm and teaching a law school study group, Brett was able to continually make the Dean’s List for his law school grades. Brett has been with the Hollis Law Firm since April of 2012. Brett has been essential in reviewing medical records, understanding and developing the science behind harmful drugs and devices, building underlying case theories, and identifying cases which match such theories of liability. After his graduation from law school in 2014, Brett continued at the Hollis Law Firm as an attorney, while still maintaining his nursing license. 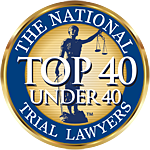 For several years, Brett has been the lead attorney on the Benicar and Invokana injury cases. Over the last two years, Brett has played a lead role in developing the science on the hernia mesh lawsuits. Brett currently consults with other hernia mesh lawyers nationwide to help them assess complex medical issues, overall case strengths, weaknesses, and legal theories. Brett frequently travels around the United States and Canada to explain to other hernia mesh lawyers the evolving science on hernia mesh and the litigation’s progress. Recently, the hernia mesh litigation has blown up nationwide (and now worldwide) as a result of Brett’s intensive research on these dangerous and defective medical devices. In September of 2018, Brett was appointed to the Plaintiff’s Executive Committee and science/expert chair for the nationwide Bard polypropylene hernia mesh litigation. Brett lives in the Kansas City metro area and is married to a pediatrician for the University of Kansas Medical Center.